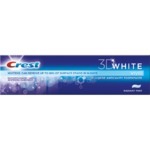 I have been using Colgate 3d White toothpaste everyday and have gotten great results. It's like going to the dentist everyday (and a whole lot cheaper). My teeth feel clean and bright and look shades whiter. Everyone should try it. This is the only toothpaste I have been able to notice results from! My husband and I use the toothpaste and the mouth wash combined for perfect white teeth! I definitely dont mimd this toothpaste but I feel like the flavor to me just isnt that great. I have been using this for a while now and haven't seen any visible changes in the color of my teeth. 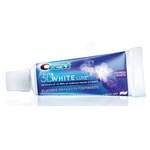 This toothpaste is great for those looking to keep teeth white from home. While it is not the same as a professional treatment, I notice a difference in my teeth within days of using it. Highly recommend! It's a nice toothpast that works fine and gives nice results. I like how it gives a bright look and is not too harsh. It gives a fresh smell and is easy to apply. The packaging is nice and firm. I use Colgate 3d White toothpaste everyday and I am pleased with the results. My teeth feel really clean after using this toothpaste. My teeth are bright and look fabulous. i found that this toothpaste is really minty, which could be great for people, like in my case, but others may not like it. also, it’s lasted me for a while! I find when I use this my teeth feel clean, my mouth feels fresh and it lasts. I prefer it to other toothpastes i’ve used. I find it works very well with coffee stains. I often get complimented on my teeth and how I get them so white. 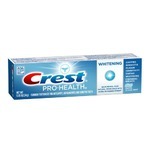 This is my favorite toothpaste that leaves them feeling clean, has a minty taste, and whitens as well. My hubby brought this home instead of what was on the list I sent him to the store with.... 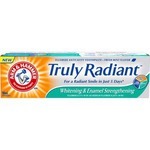 I was pleased with the product great taste left my teeth feeling clean and seemed to me shiny and maybe a little whiter. I USED THIS PRODUCT FOR ABOUT 3 WEEKS .